I will be spending Christmas in the Port-au-Prince, Haiti. 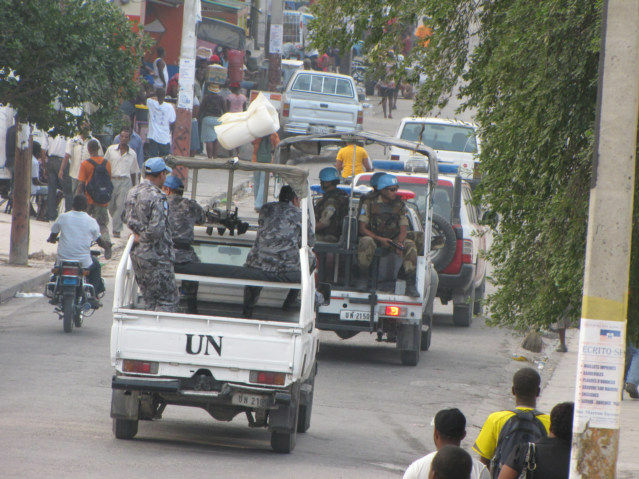 The United Nations military force occupies the country of Haiti. As best I can tell, there are at least 10 major camps in the country and probably a lot more, I am guess. I have personally seen about five UN Military Camps. These photos are difficult to take, these trucks full of soldiers come flying up or down Rue Lamarre, they are in a hurry. I must pull out the camera, take the photo quickly, and then hope none of the soldiers sees this as a hostile act. Lesson learned, I was in the front seat of a taxi north of Baghdad heading towards Dohuk, Iraq in September of 2002 (3?). We was passing a United States Military Camp, I pulled out my camera and pointed it the camp. This country is truly occupied by the United Nations; this country is the poster child for the United Nations. They would say it is peacekeeping; I tend to believe it creates a situation of economic doom. 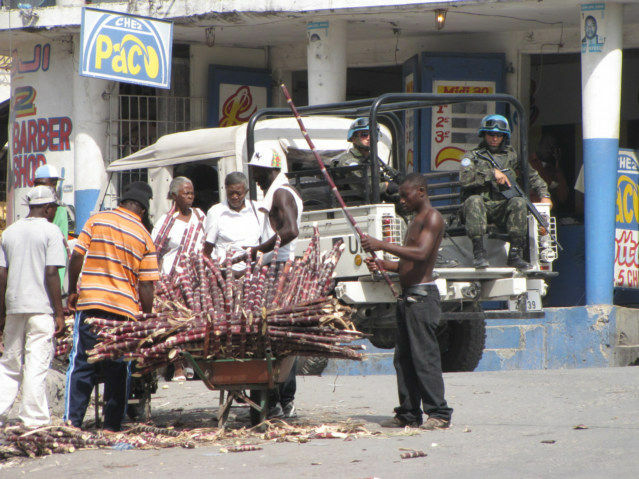 Does anyone know how many UN bases are in Haiti?